Kaidou would murder Vista with one blow. 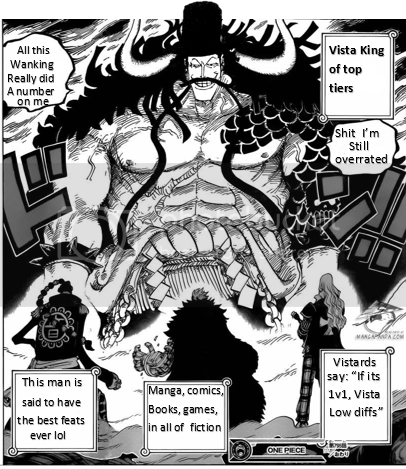 This chapter just destroyed PoP's entire tier list. Will PoPs be able to bare this L when he comes back? He's not going to return after reading this chapter. DoflaMihawk will be the new Admin. Somewhere Corus is reading OP with fist clenched. And would Coruscation be angry at this development? Marco is stronger than Katakuri who is stronger than Luffy. Let's not ignore PiS and the multiple chances Katakuri had to finish the battle but decided to...I don't know, eat doughnuts or something. 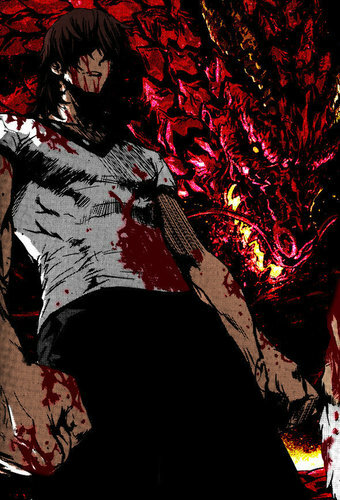 Also, this is Kaido, the supposed #1 of the verse right now. Let's also not pretend every other Yonko and Admiral can replicate what he did, when we already know this isn't the case. Vista can still beat the Admirals. ​Not sure what about this chapter discredits Marco or Vista? Let's educate these kids on the true power of the Whitebeard Commanders. Some of you guys still don’t know how to read a manga. Last edited by Pimp of Pimps; 11-02-2018 at 10:19 PM.